The brightest event for our littles ones is here. Kid’s Fair 2017: “Bright! Right From The Start” kicks off on April 21 - 23, 2017 (Friday to Sunday) from 10:00 AM to 7:00 PM at SM Megatrade Hall 1, Mandaluyong City. 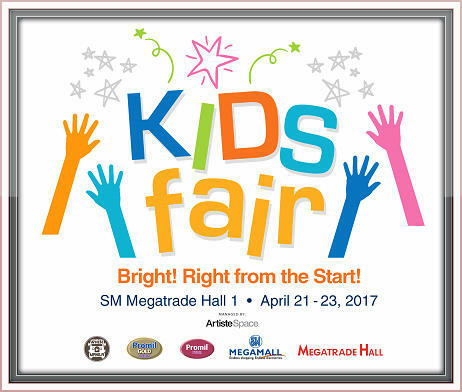 The first ever KID’S FAIR 2017: “Bright! Right From The Start” is an event that sets an environment of learning, discovery, and fun for kids with various activities that could help them improve their creative and thinking skills. From the moment they set foot in the fair, the fun begins – filled with delightful servings of games that stimulate creativity, sportsmanship, and problem-solving skills. Play and win prizes at game booths; listen to book reading sessions or discover new books to take home; try an art craft session and bring out the artist within; join several exciting workshops that enhances skills and imagination; and explore a bounty of booths from toys, books and sports – to fashion, candies, and cakes. But wait – this chock-full of fun fair is not just for kids. 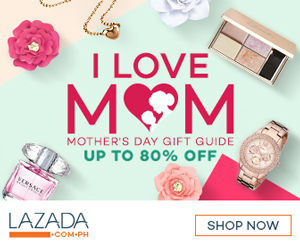 Parents don’t have to watch on the sidelines. You’re in it too. Moms, dads, grandparents, and guardians are definitely in the mix – it’s a family affair. KID’S FAIR actively involves the whole family by helping them learn to provide the proper learning path so kids get the necessary motivation and guidance, a solid foundation that propels them to a better future with careers that give them purpose and a lifestyle of holistic well-being. A healthy mind needs a healthy body, so the Doctors are in at the KID’S FAIR too. Stop by the Child Check-up lounge and get medical and health advice from reputable Child Psychologists. What’s more, you may want to try the “Left-brain, Right-brain Dominance Assessment” and find out if your child is either analytical or creative – or maybe even both – an expert in child psychology will be there to guide you. ARTISTE SPACE produced and organized KID’S FAIR 2017: “Bright! Right From The Start” to provide a cheerful event for kids and their families while forwarding knowledge on effective childcare and development. Ear-nestly working to deliver an exceptional KID’S FAIR that exceeds visitor ex-pectations and become a must-attend event for the whole family every year. Because I love my readers, I'm giving away 5 tickets for the Kid's Fair. Just leave your name and email address below, please also tell your friends about it. See you at Kid’s Fair 2017: “Bright! Right From The Start” April 21 - 23, 2017 (Friday to Sunday) from 10:00 AM to 7:00 PM at SM Megatrade Hall 1, Mandaluyong City. This event was made possible by Wyeth, SM Megatrade Hall and When In Manila.